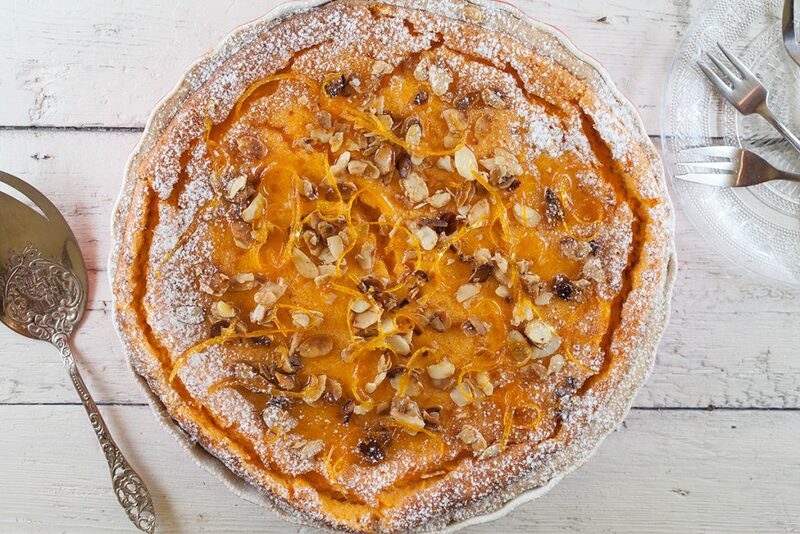 A delicious and refreshing pumpkin pie with candied orange and caramelised almonds. It needs some time to prepare, but that’s more than worth it! Without the decorations it’s still delicious! 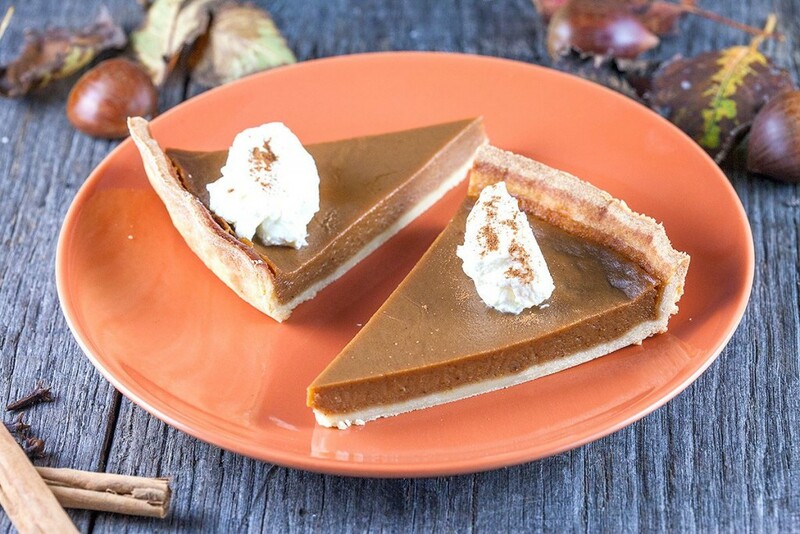 Amazing recipe for a traditional pumpkin pie with a beautiful crust. This recipe uses fresh pumpkin and delicious spices. Recipe for 8, ready in 1 hour+.